Starting July 1, 2015, undocumented individuals who apply for an original Utah driving-privilege card, or for the annual renewal of an existing card, will have their fingerprints sent to the FBI's Next Generation Identification (NGI) database. Since 2011, applicants have had their fingerprints checked against eight Western state databases for felony convictions. The 6-month-old FBI NGI system significantly "expands" the bureau's abilities to mine information from fingerprints, according to an FBI press release, providing nationwide criminal-background checks that include misdemeanors along with felonies. Utah immigration advocates fear it also has the potential of identifying to Immigration & Customs Enforcement agents undocumented residents—whose only crime relates to their being caught re-entering the United States after being deported or traveling back to their native countries to visit family. In excess of 30,000 residents hold Utah driving-privilege cards, down from a peak of 43,000 in 2008. The 2015 legislative amendment to Utah's 10-year-old driving privilege statute means that, as of July 1, 2015, those who hold the card will have to decide whether to submit his or her fingerprints for a comprehensive criminal background check, or drive without the card and pay a much higher insurance rate—or even drive uncovered. The driving-privilege card allows drivers without papers to obtain insurance, but advocates believe the FBI's national database will also include U.S. Border Patrol records. 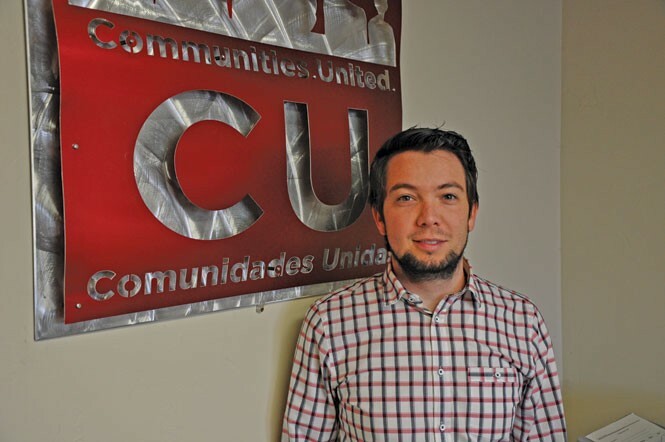 Luis Garza is executive director of Latino-advocacy nonprofit Comunidades Unidas. Illegal re-entry, Garza says, "is very, very common." He estimates that at least one-fifth of Utah's 88,000 to 110,000 undocumented residents have gone back to their native countries—typically to be with ill or dying relatives—have been caught trying to get back into the United States and deported, with a minimum 5- or 10-year ban on returning. They have subsequently returned without detection, "and that's the only thing they've done wrong," he says. Immigration-law attorney Aaron Tarin says, "I don't want people driving on the road with no license, no insurance. But I'm also concerned a lot of people are unknowingly going to walk into the wolf's mouth." Department of Public Safety's Commissioner Keith Squire approached the Legislature last fall in search of a more extensive background check, following news last year that a man who had killed two police officers in another state was nevertheless able to secure a Utah driving-privilege card. That news offered opponents of the driving card an opportunity to repeal it, says the amendment's Senate sponsor, Sen. Curt Bramble, R-Provo. According to Bramble, he told immigration advocates they were "better off" with the amendment, rather than risking "losing the program altogether." The federal-level background check and a price hike from $80 to $109.50 for the initial application makes advocate Garza wonder, "Do they want people to get it or not? They are putting more and more barriers up, and people are going to drive anyway." Applicant fingerprints taken by the Driver License Division are sent to Utah's Bureau of Criminal Information [BCI]. Since the 2011 introduction of the eight-state criminal background check, BCI has sent out 1,430 notifications to ICE of applicants identified by the databases as having felony convictions, as well as 1,360 notices of outstanding warrants to local police departments. If an undocumented individual has a felony on their record, that makes them a top deportation priority for ICE. Information from the FBI database will be available to ICE via a secure website, says BCI chief Alice Moffat. "It really hasn't changed, other than it's on a nationwide basis." She expressed doubt that border-patrol records would be included. But, after City Weekly supplied her with a copy of a recent FBI fingerprint report for a Utah resident whose criminal record was a 1998 "attempted illegal entry into the U.S." from Mexico, she acknowledged such reports could be included in the FBI check. Since the implementation of the driving-privilege card, Tarin estimates that, after applying for cards, thousands of Utah residents "have been picked up," by ICE. "ICE is very unpredictable in their enforcement priorities, and we just never know when and to what extent they might decide to go after people in the database." "Anibal" (not his real name), resides in Utah and is the 27-year-old father of an infant son. The child resides with his mother in Hawaii. Anibal, who requested anonymity because of his immigration status, came to Utah from Guatemala with his parents and brother when he was 3. It wasn't until he was 13, he says, that he realized an invisible line separated him from his U.S. born younger sister. "The word 'undocumented' is like a stain," he says. "Being undocumented, your possibilities of a future are extremely crippled." Anibal's parents took their children back to Guatemala several times and in the process were picked up at the border, resulting in several removal orders for them and their then-minor sons. "His immigration history is such that I don't recommend he get his prints taken," Anibal's attorney Tarin says. Anibal rejects the option of waiting to see the new amendment's impact. "I don't have the luxury to wait. I just don't. My future depends on it, and my son depends on me." As a minor, he secured a standard driver license prior to the privilege card becoming law. At age 25, however, once the license had expired, he had to enroll in the driving-privilege card program. He then decided to give up his $50,000-per-year software-programming position, out of fear of being asked to leave because of his undocumented status. Then he learned that, if he were to renew his driving-privilege card in 2016, his presence in the country with his removal history from his childhood might result in his being red-flagged by ICE. While he is applying for citizenship, he first has to resolve the prior deportation orders from his childhood in order to be eligible. "To me, it's devastating," he says. "Here I was an individual pursuing education; I have goals in my life. One moment to the next, I felt like I had no exit. The walls were just tumbling down. —I had no choice but to stand still, take the hits and see what I could do." Word has yet to filter down to most of the Latino community about the amendment, Garza says. "People don't know yet the type of consequences it will have," he says—and he and his nonprofit cannot tell them what to do. "I know people will ask us, but it's up to them. It's up to each family." This is the second in a series of articles on technology, the law and society.